Why You shouldn’t Use Free Web Hosting? 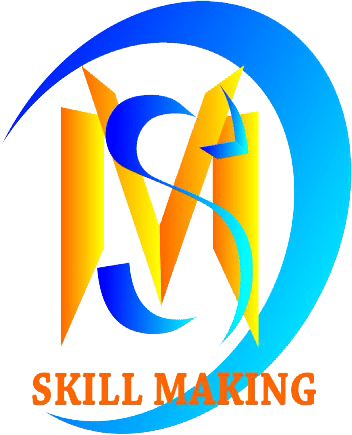 1 Why You Shouldn’t Use Free Web Hosting? 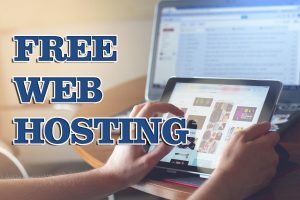 In this article, I will tell you about the topic of free web hosting. Many people tell me that I will use free web hosting. And I don’t prefer free web hosting. People ask me Why shouldn’t use free web hosting. So if you have also this question then you should read this article till the end. Here I will give you some useful information regarding this topic. Here I will tell you some disadvantages of free web hosting. You must read this article till the end. First of all, you should know some basic information about hosting. Hosting is a server where we store our data. Your website’s data hosts in your that server. Hosting services give you the services to store your data. There are many types of hosting services available like shared web hosting, VPS hosting, Dedicated server, etc. Here you should choose the type of hosting according to your need. Now talk about free web hosting. Free web hosting services are helping you to host your website for free. People tell me that if I can host my website for free, so why should I buy a premium hosting. They think that they should go with free web hosting. Firstly you should consider that nothing is free on the Internet. The biggest benefit hides behind all websites over the internet. Nobody gives you any free services. Here I am giving you some key points about free web hosting. If you will use free web hosting then you should consider that it may trial version of web hosting. In the trial version hosting company gives you free plan for a particular time like one or two months. After these one or two months, they will charge you a very high cost. So this is a scam where you traped. Once you will host your website with that hosting company, you don’t have any chance to move with another hosting. So you will buy that hosting services with a very high amount. So you should read policies of that hosting company. If they give you trial version then you should check out that after trial version how much will they charge. Data protection is a huge part of web hosting. Your data must be protected. If you will use free web hosting then they will not take responsibility for data protection. They can misuse your data. You should aware of it. Bluehost is the best company who provides the best data protection to you. If you will use free web hosting then you can get poor quality for your visitors. You should always concert about it. If may not work fast. It may increase the load time of your website. And if your load time will increase the bounce rate automatically increase. So poor quality is a big problem in free web hosting. Almost all websites who give free web hosting have poor quality. They didn’t give you fast services. Because there are many websites hosted over a single server. So you should go with premium web hosting. If you will use free web hosting then you should consider that it may contain malware. Your visitors may be affected by malware. Because hackers always target to free hosted websites. And they can distribute malware by your website. Hosting company also can distribute malware through your website. If you will use free web hosting then you should consider that there are many limitations. You cannot upload files more than 1MB or 2MB. It can differ according to the site by site. They give you limitation in storage. They will give you 2MB or 3MB storage to store your data. They can give you limited bandwidth. So here you got the answer to your question that why shouldn’t use free web hosting. Here you got some points for free web hosting. You should go with paid web hosting. Shared hosting is really a good option for you. There are many benefits of shared web hosting. You can start your blog or website with shared web hosting. Thank you for reading this article till the end. If you love this article then you should share your thoughts in the comment section below. If you have any question regarding this article then you should write it on the comment section below. I will try to give the answer to them. You can follow me on Instagram to get the latest updates and learn more about digital marketing. This entry was posted in blog, digital-marketing, hosting and tagged free web hosting, web hosting, why you shouldn't use free web hosting. Bookmark the permalink.